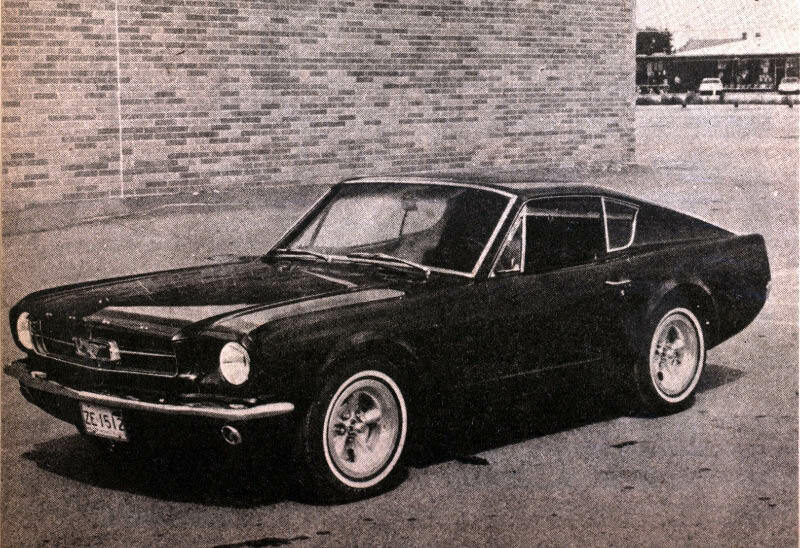 Automotive writer Alex Walordy reported on the building of the Mustang III for the cover story in the April 1965 issue of Custom Craft magazine. After a three-month search for this issue, Anders Norman of Hammarstand, Sweden has forwarded an original copy to me. Photo highlights and captions from the article are below. Thanks again, Anders! 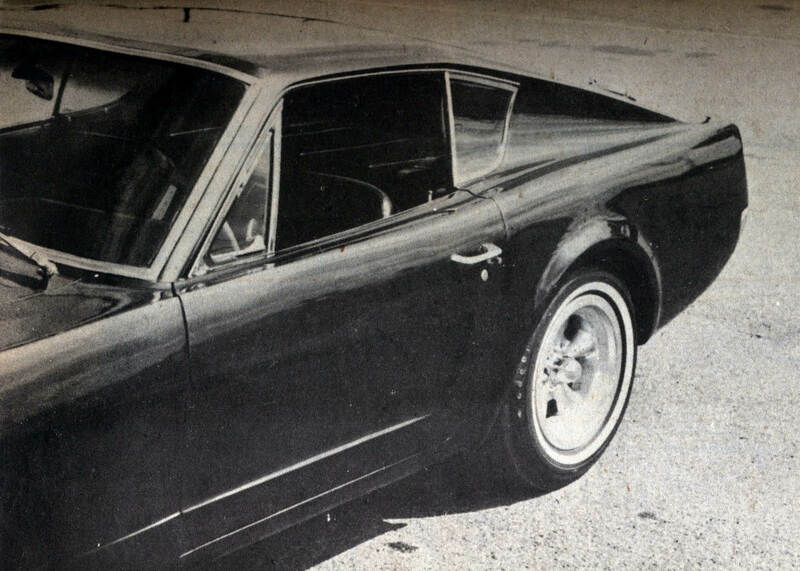 The Mustang's wheelbase was shortened by removing a section fom the platform frame. 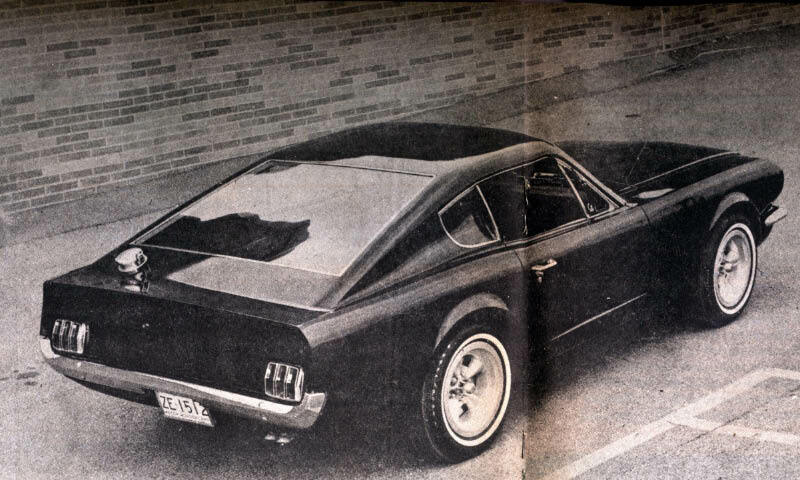 Enough room was provided for eventual use of rear slicks, should they ever be called for. 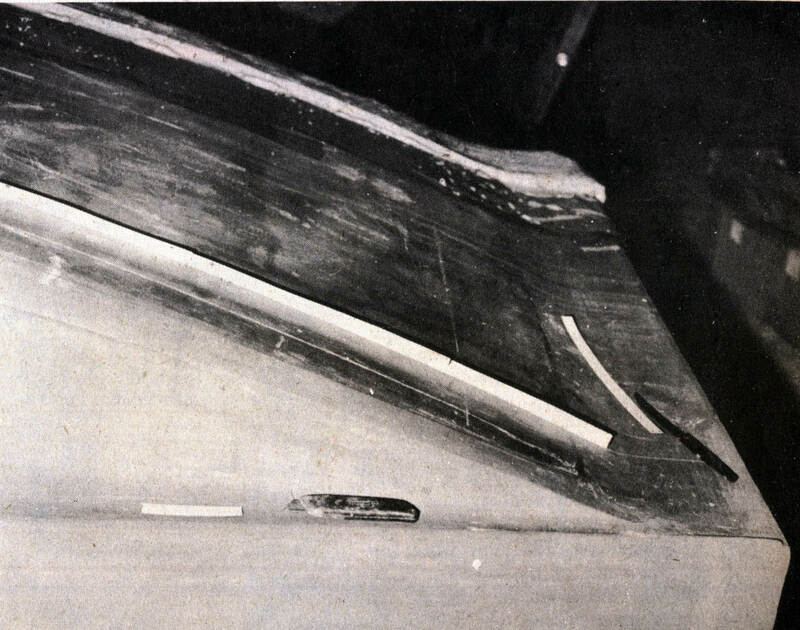 Wooden sections acted as mold stiffeners after the molds were completed. These were tied with sistal fibers and plaster. 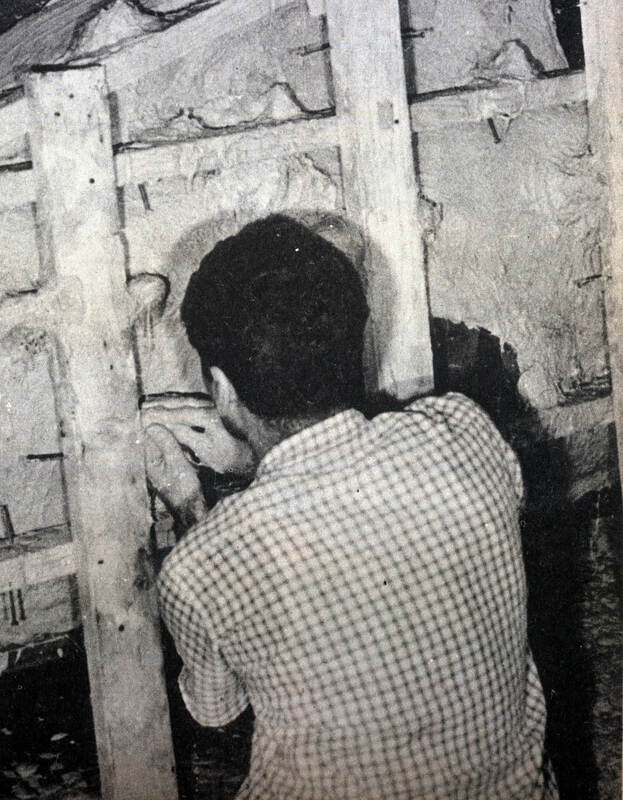 A wooden frame simplified handling of the plaster and prevented it from cracking or changing shape afterit was pulled away from the caly model. 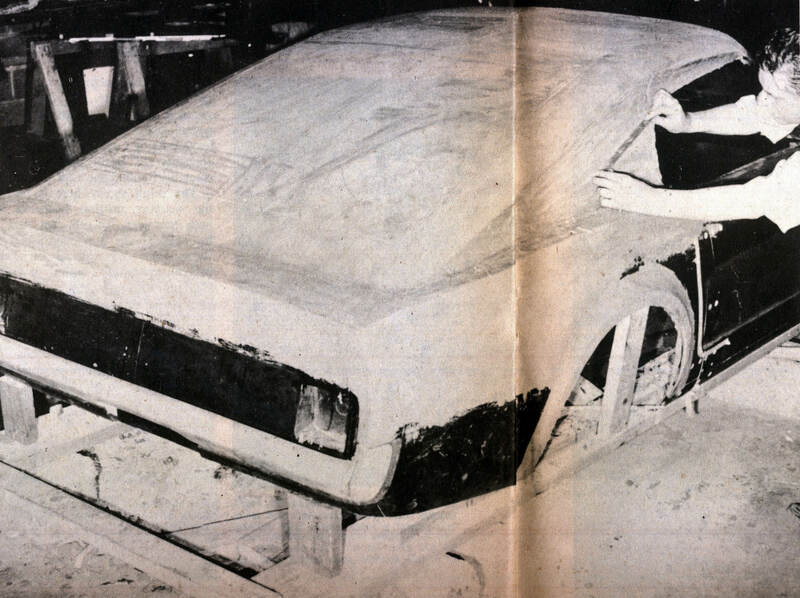 Note: Designer Vincent Gardner working on the car. 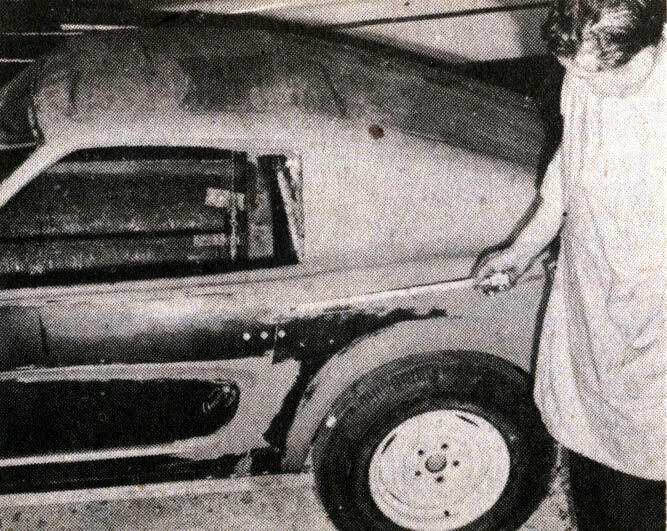 A buck was built of wood and clay plus some of the actual Mustang panels. This combination was constantly reworked to get a good result. 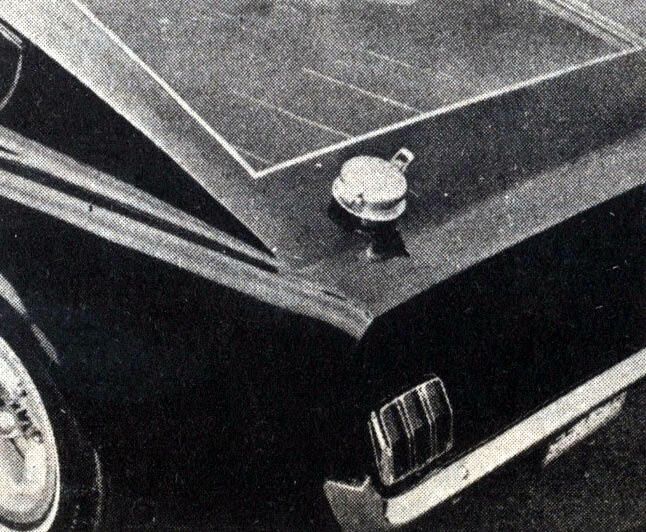 The rear window was incised in the clay and a sweep was designed to carry the rear quarter panels' concave sections for good esthetics. 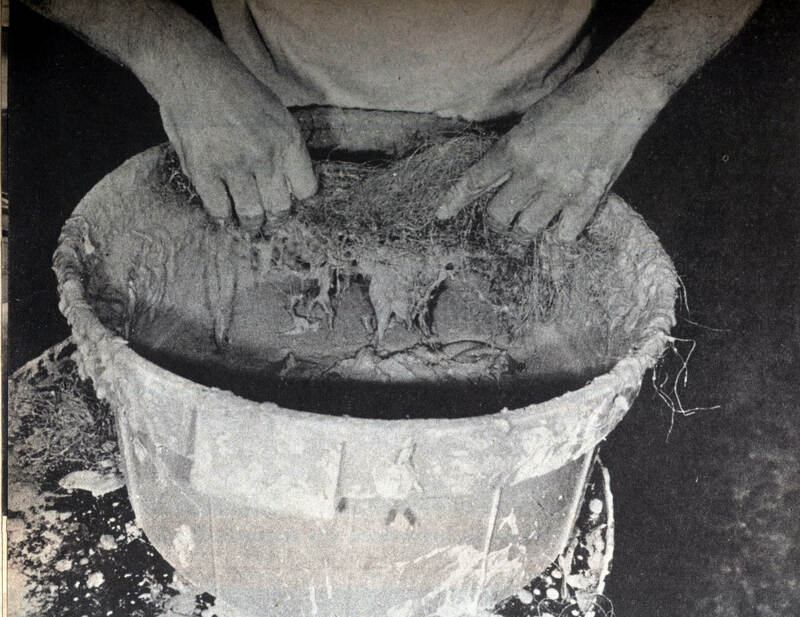 Molds were built in sections for easy removal. Fences acted as stops for the side molds. Here's the finished right side mold. With the fences removed, this mold fenced the center section. Crisp lines, a streamlined fastback and a gigantic backlight are some of the many features of this fine Mustang restyled by Vince Gardner. 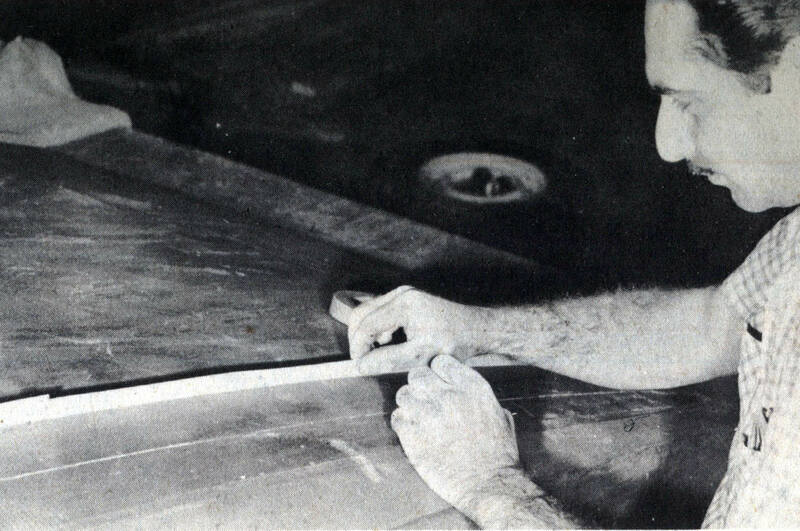 Dearborn Steel Tubing is one of those rare companies that thrives on experimental work and produces "parctical" unique cars, the ones that often become production models. Polished aluminum wheels and thin white strips on the tires accent the Mustang's sporty look. 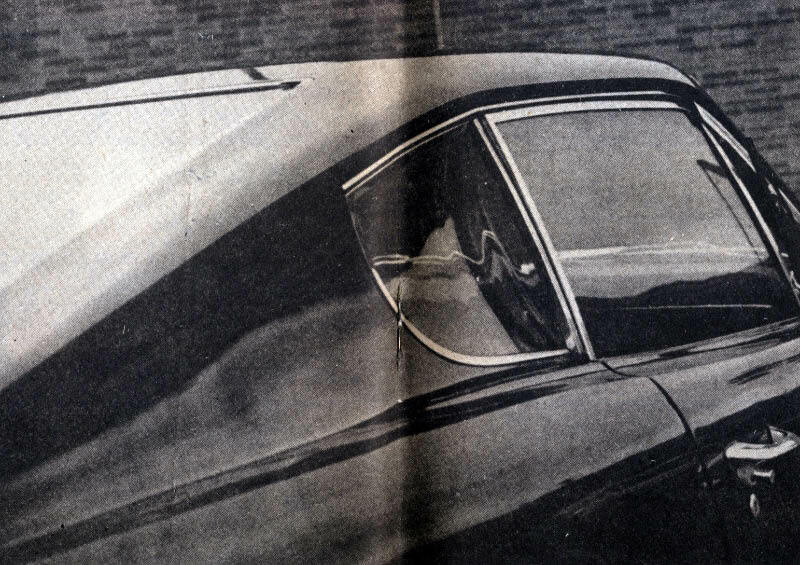 The rear quarter windows follow the body's concave lines. A crisp panel was used rather than attempt to match them to large windows. 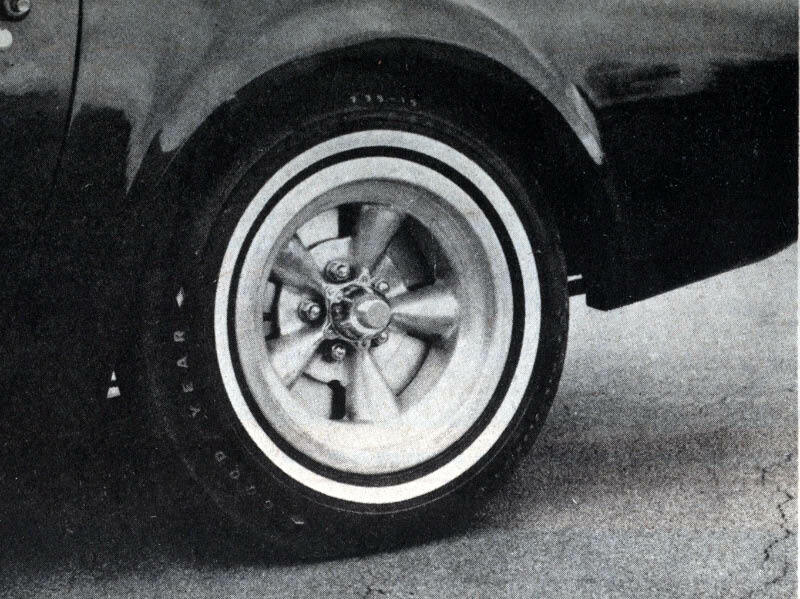 Rear wheel cutouts were styled to be completely open, and molded for additional highlighting. Neat panelling and a lid fastened with leather straps, antique fashion, provide additional luggage capacity in the rear of the interior. 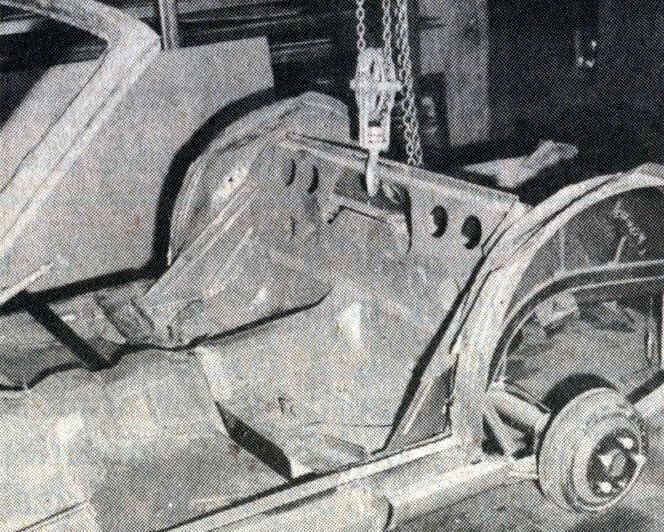 The rear bumper was faired into the body. No trunk lid breaks the lines at the rear. 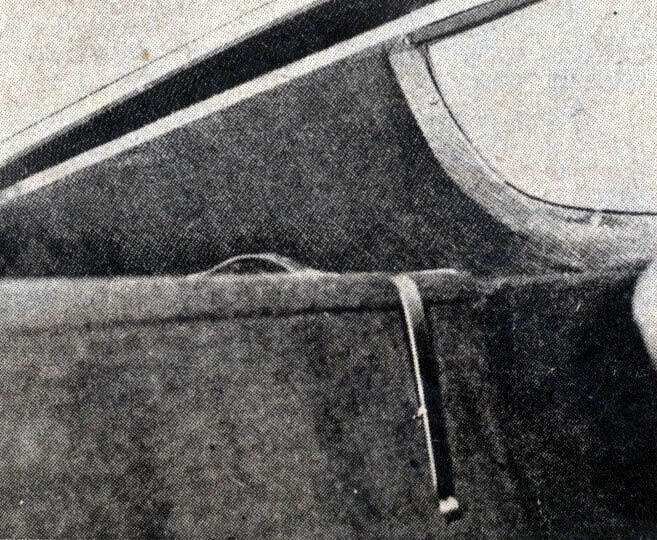 Bags are loaded through the passenger compartment.